An actor whose work I have enjoyed through many, many movies passed away yesterday at the age of 76—or as they say very beautifully in India: Rajendranath is no more. I always thought he had the good looks to be a hero, but he was always cast in comic roles—which he did perfectly. Posted on February 14, 2008 at 3:57 pm in Hindi movies	| RSS feed You can skip to the end and leave a reply. Hey, love the name of your blog. I loved Rajendranath in the movies, yes, he was good looking, after all he was Krishna Kapoor’s brother. Is it possible if you could post a picture of him during his good-looking times? You don’t think he’s good looking here??? I do :-) I like the kajal around his eyes…but yes, I will track down a younger picture of him and add it here. 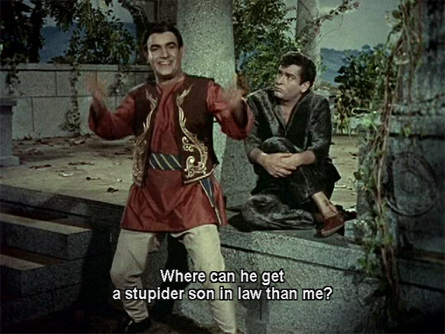 And Banno—yes, I always forget that their sister married Raj Kapoor! His brother Premnath was v.v.v. good-looking too in his young days (and so was Narendranath). He was a hero in several films early on, and had a love affair with Madhubala too before he married Bina Rai (a very beautiful woman herself). The subtitle on the last film still is just hilarious! Brilliant! One of my favorite things about him was his willingness to poke fun at himself. TERI RAAH MEIN HUM KAHAN KAHAN SE GUZAR GAYE. PRODUCED BY HIS BROTHER PREMNATH. One of my favorites going up as a child in Delhi. A great family of Actors. A perfect entertainer. It was sad to see the filmfare awards just mention his and Manormas name instead of paying a homage to somebody who made us laugh and forget the daily rigors of life. God may rest him in peace, it is amazing how soon we forget as people age. Vivek: I agree completely about the FF awards. I was shocked, actually. Vanjani: I will look for those movies, thanks! I am a fan of the way he used to act comesy sceanes. He has a typical way of his own which make hin distinct from the other comedians. Hi Manish :-) Yes, he was very unique…I think he was one of the best sidekicks ever, especially with my favorite Shammi. They had great comedy chemistry together. I found him funniest in Jukh Gaya Aasmaan. He was hilarious in almost everything, really hardly ever has disappointed me. I should make a top 10 Rajendranath film list! He died in the city where I live, and in fact I used to live in the same colony as him for one year. And i came to know of his demise thanks to this blog. His death did not get much coverage in the local papers either. 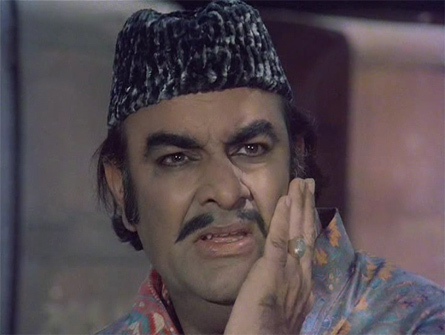 Incidentally, his brother Premnath had a movie theatre called “Empire” in Jabalpur (home town of the brothers) which began to see bad days after Premnath’s death, because his sons would not bother to take care of it. And now this theatre, which was close for several decades, has been acquired by the Military on whose land it was built. He was great actor & comodian of hindi cinema. He has acted in seven movies with Super Star Rajesh Khanna all were super hit movies. Whenever I see Rajendranath, I recall all the beautiful moments of past film era. It was really beautiful. Late Johny Walker sahab, Mehmood sahab aur Rajendranath sahab were the best (trilogy) comedians of my late dad`s era. Use to enjoy their movies as a child myself. 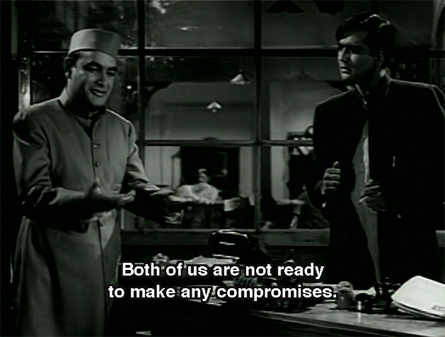 aaj jab wapas dekhta hoon (thx to various websites/internet online movies), a realization dawns upon me. Their scripts were always well researched and well written. Meant to make us laugh and at the same time always had messages for audiences. Bravo. Rest in peace sahabji all three great ones. @Taru – Was your dad involved in movie making? Please let us know.